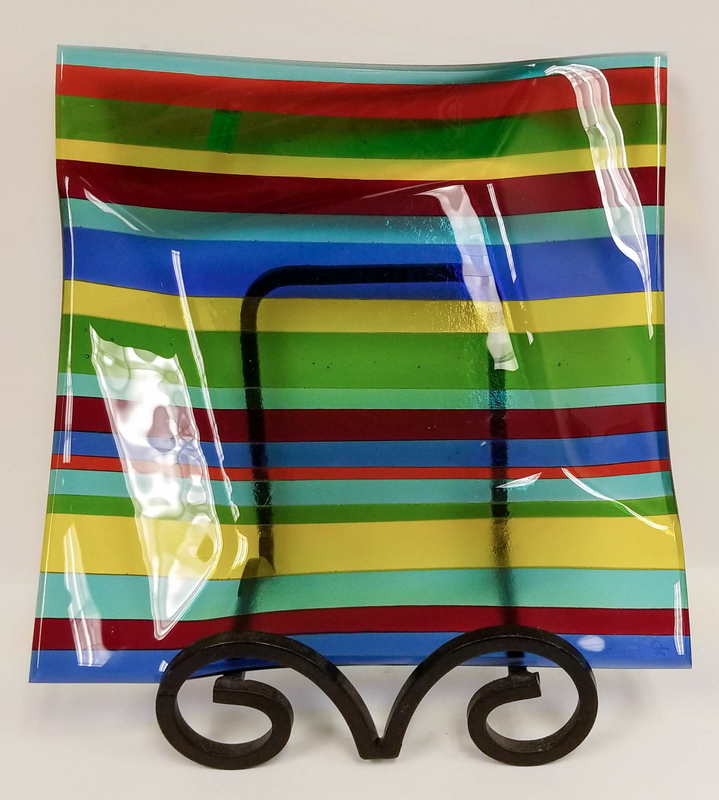 This beautifully crafted glass platter is 11 1/4" square. It would make a wonderful gift for yourself or a friend. Food safe.